The annual event features a Friday night event, the Saturday car show and an opportunity for laps around the track on Sunday. This year, our fun on the track was rained out, but the rest of the weekend was fantastic as usual. 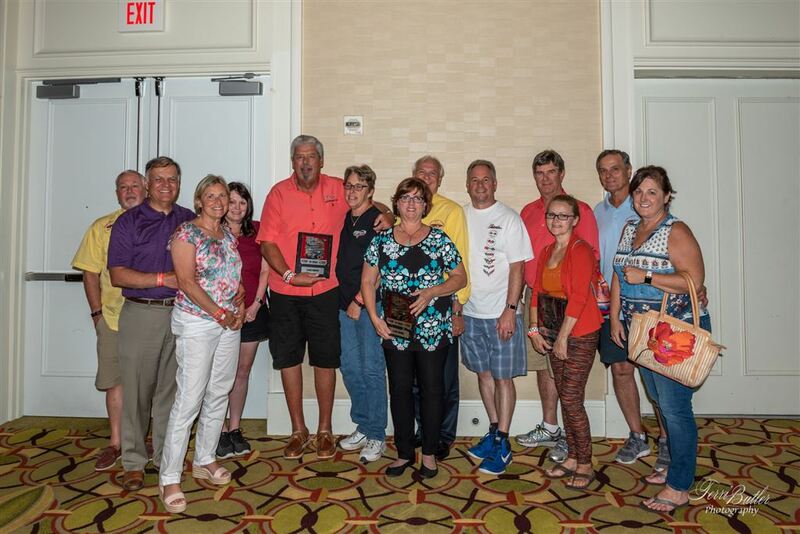 The trip from San Antonio was coordinated by Gary and Gay Burgess and Lake and Kathi Ellis. They departed from the Stripes on 281 in Spring Branch and followed Hwy 281 to Fort Worth. 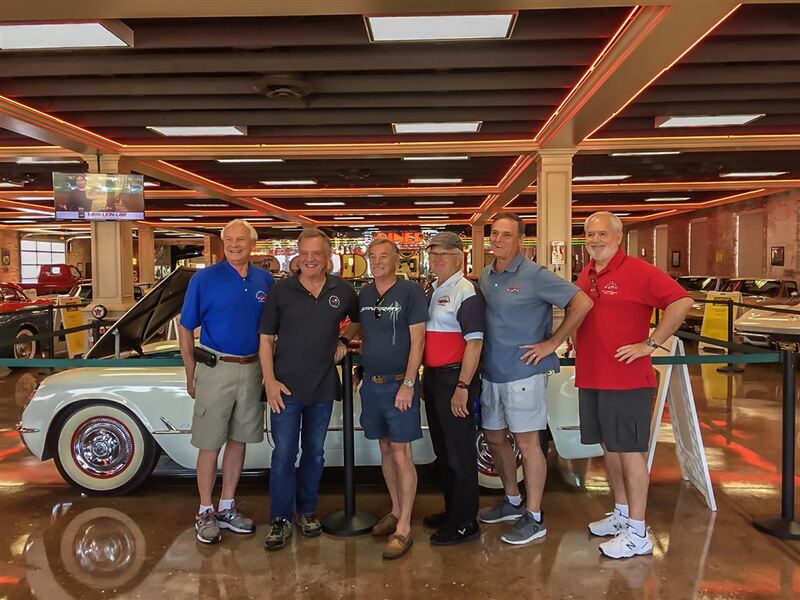 A small group lead by Jon Miller also traveled up on I-35 and joined a few cars from another club on Thursday, all to converge on the Marriott that afternoon in time to have dinner at Babe's Chicken Dinner House in Roanoke the first evening. 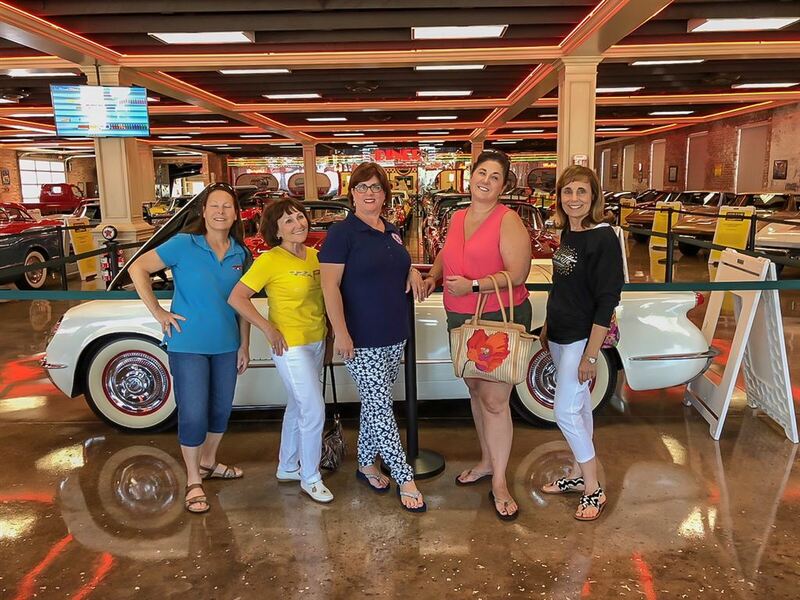 Friday, many went to the Horton Classic Car Museum in Nacona, while a few of the die hards headed north to the Winstar casinos to try their luck at the slots and tables. Some winners and some losers returned to the hotel later that evening for our trip to the Stockyards for our BBQ dinner. Saturday was the car show. Some entered cars for judging and others for "show and shine". Many just enjoyed the weekend activities without the fuss of cleaning cars. 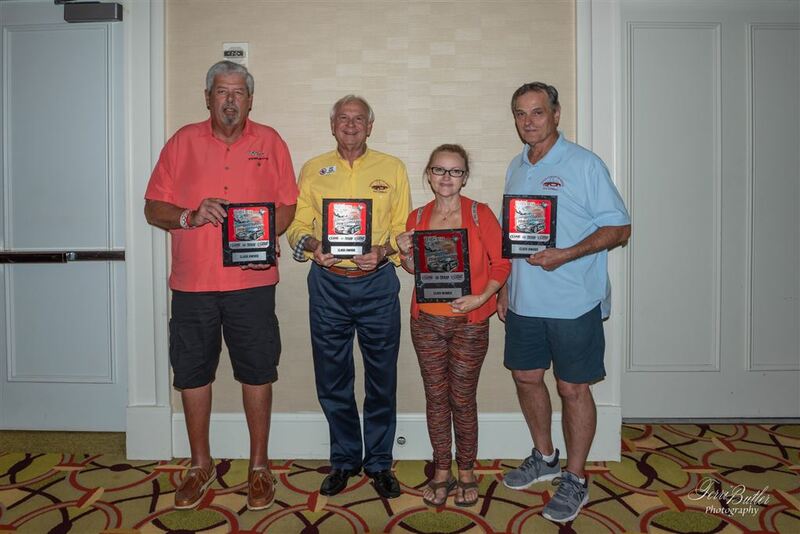 Our club took the 2nd place PARTICIPATION AWARD for the number of folks that attended, beat out by NCCO out of Oklahoma who took the 1st place award. We didn't come home empty handed. Rosa Reinert was the "Class Winner" in her category in the judged cars, Linton Savage took a "Class Award" in the judge category for his class. In the show and shine area, both Andrew Golden and Gary Blum took class awards. The car show was huge this year. I think I heard the number of 585 corvettes were in town and 375 were entered into either the show and shine or judge car show. Plenty of beautiful cars to see. A few images from the show are posted in a gallery here.